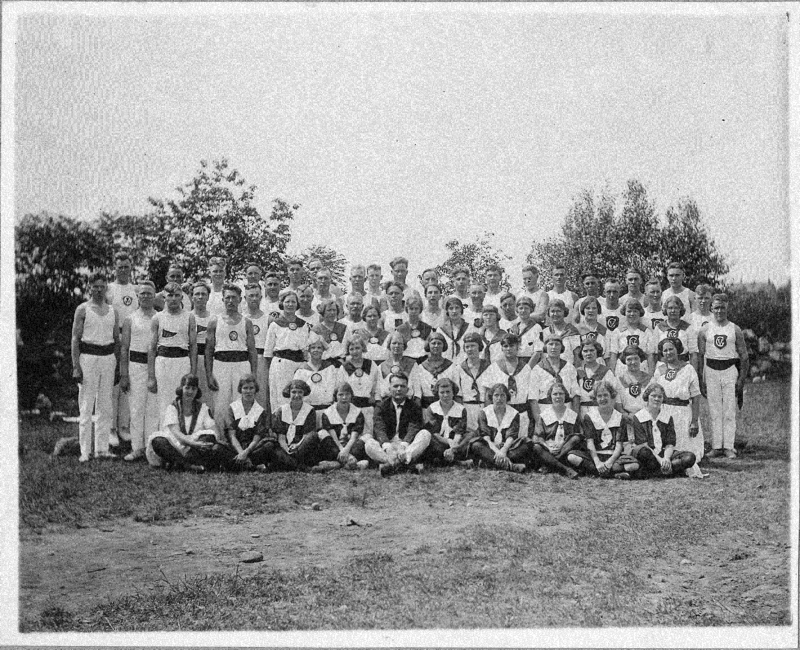 Pokémon Go Back in Time with the Michigan Tech Archives! Calling teams Valor, Mystic and Instinct! Since early July, Pokémon have been roaming all over campus thanks to Pokémon Go, a new location-based mobile game developed by Niantic. People of all ages have been joining the fun, exploring various Pokéstops and Gyms around Michigan Tech and the Copper Country. The augmented reality game is causing players to see the local landscape in a whole new way. 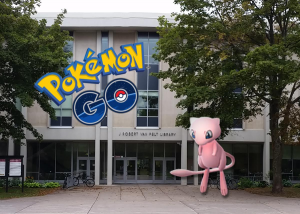 Taking a break from catching wild Pokémon in the stacks, the staff of the Michigan Technological University Archives and Copper Country Historical Collections would like to invite players to Pokémon Go Back in Time on Wednesday, July 27. From 2:30-3:30 p.m. the Michigan Tech Archives will set up a refreshment table on the John Rovano Plaza, the garden patio adjacent to the Van Pelt and Opie Library. We will set some lures at nearby Pokéstops to attract as many Pokémon as possible. In addition, we will be giving away our newly developed brochure which advertises several Pokéstops at Michigan Tech and offers a little bit of historic information about each stop. Catch Pokémon and catch a glimpse of the past at the same time! This event will take place rain or shine. We will be located indoors, near the Library Café, if it is raining next Wednesday. We hope to see you there! 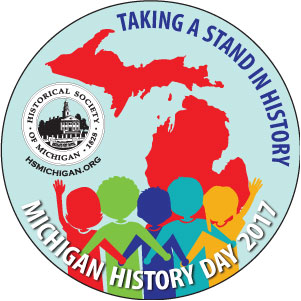 For more information about this event or the Michigan Tech Archives in general, please call (906) 487-2505 or e-mail copper@mtu.edu. 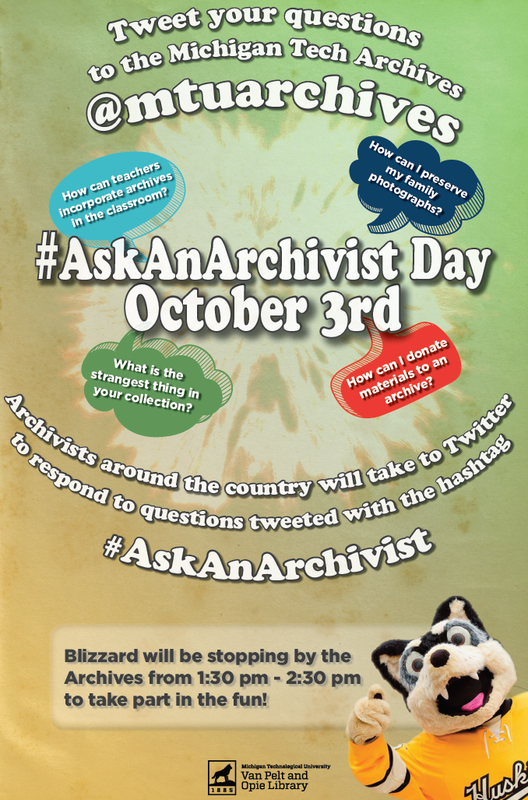 You can find us on Twitter: @mtuarchives. The Michigan Technological University Archives and Copper Country Historical Collections is pleased to invite the community to our project reception for the “Black Voices in the Copper Country” project. 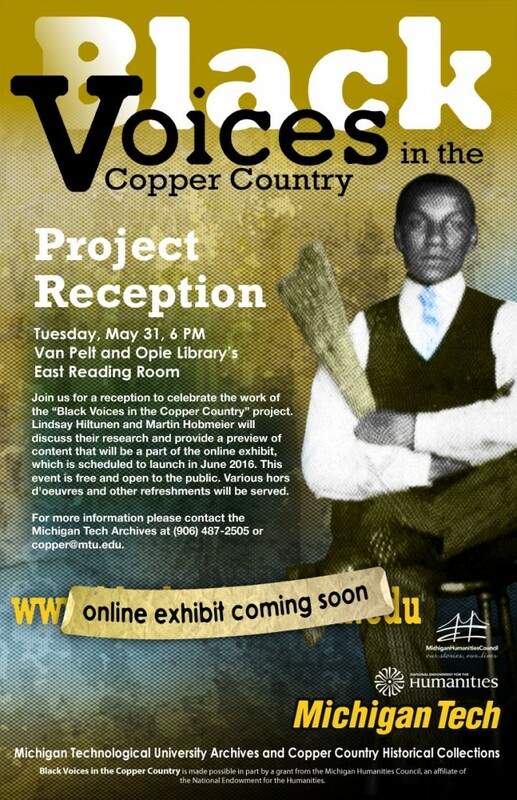 The presentation and social hour will take place on Tuesday, May 31 at 6 p.m. in the Van Pelt and Opie Library’s East Reading Room. This event is free and open to the public. Assorted hors d’oeuvres and other refreshments will be served. 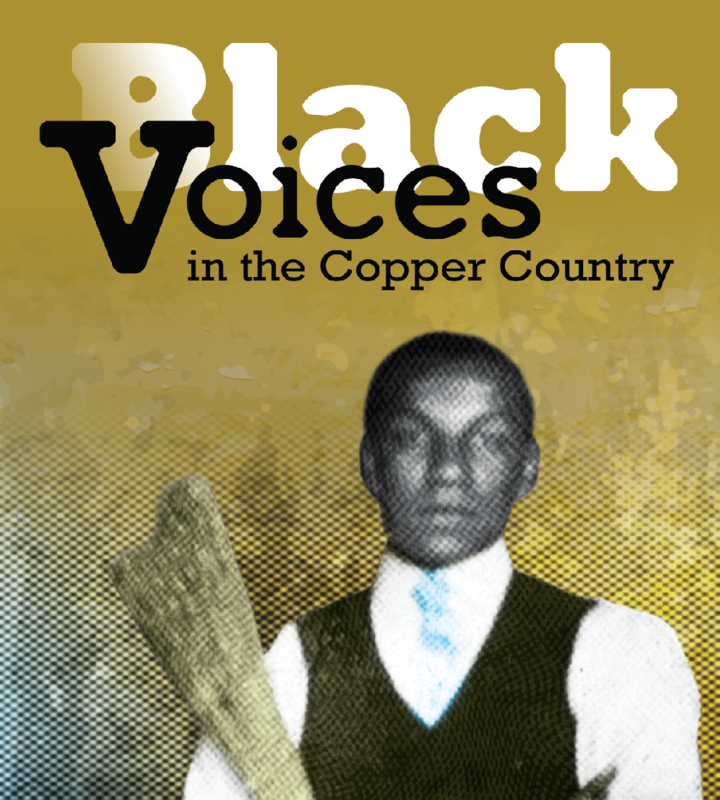 Please join us for a reception to celebrate the work of the “Black Voices in the Copper Country” project, which has been a year-long effort to explore African-American social history in the northwestern Upper Peninsula. 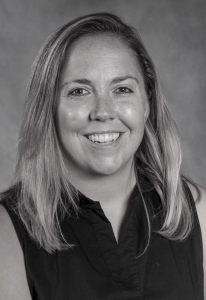 Lindsay Hiltunen and Martin Hobmeier will discuss their research findings and provide a preview of content that will be a part of the online exhibit, which is scheduled to launch in June 2016. 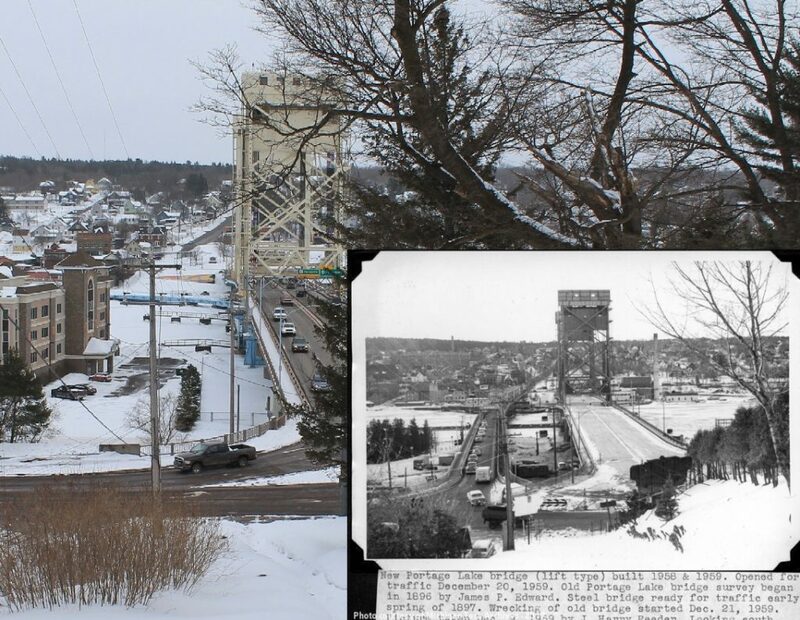 For more information, please contact the Michigan Tech Archives at (906) 487-2505 or copper@mtu.edu. 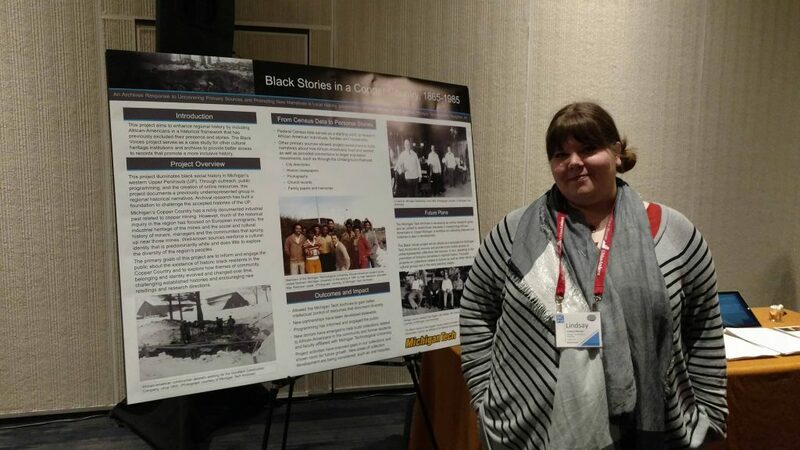 This reception is made possible in part by a grant from the Michigan Humanities Council, an affiliate of the National Endowment for the Humanities. 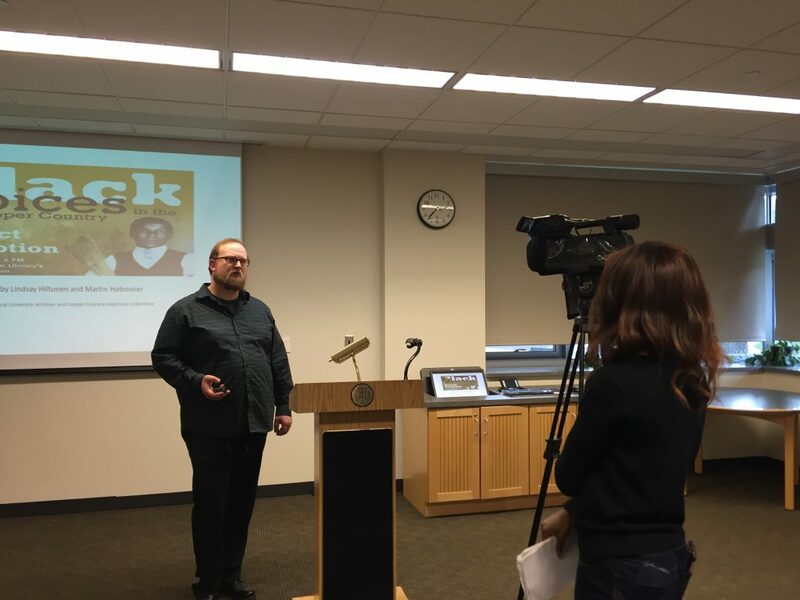 The Friends of the Calumet Public Library is sponsoring a presentation next week by Sawyer Newman, Communications and Research Assistant at the Michigan Technological University Archives and Copper Country Historical Collections. 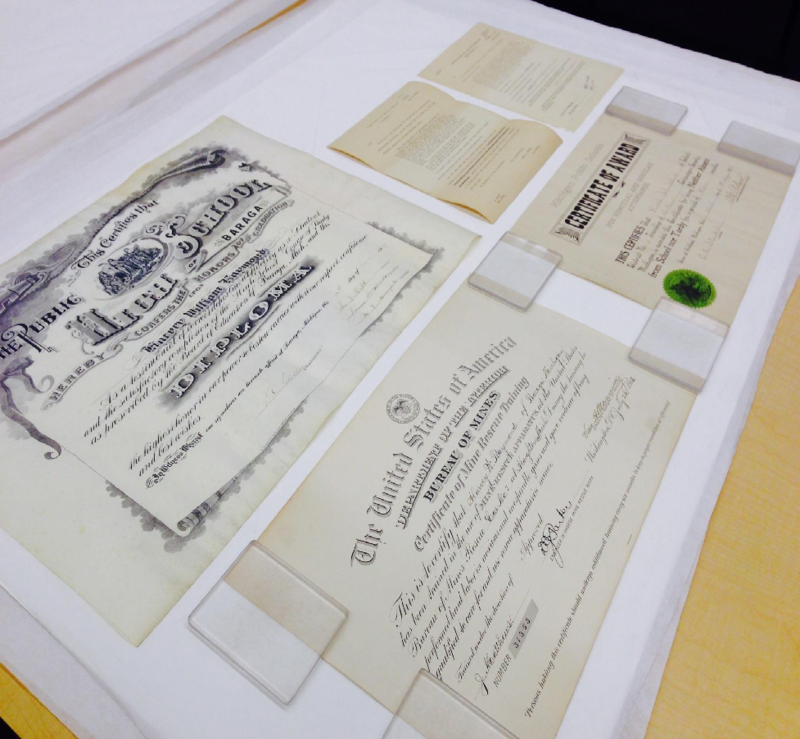 During this talk, Newman will discuss the value that archives can have as active members of their respective communities and the benefit that oral histories add to archival collections. 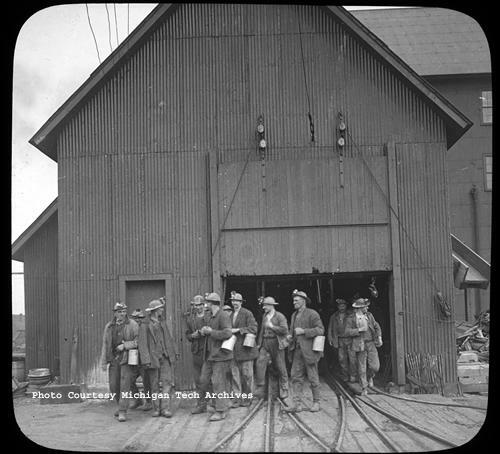 The talk will utilize examples of oral history from the current Mine Memories project and other oral history collections held by the Michigan Tech Archives. The talk will take place on Wednesday, April 6 at 6:30 P.M. at the Calumet Public Library (located on the C-L-K campus, 57070 Mine Street, Calumet). The event is free and open to the public. Refreshments will be served.